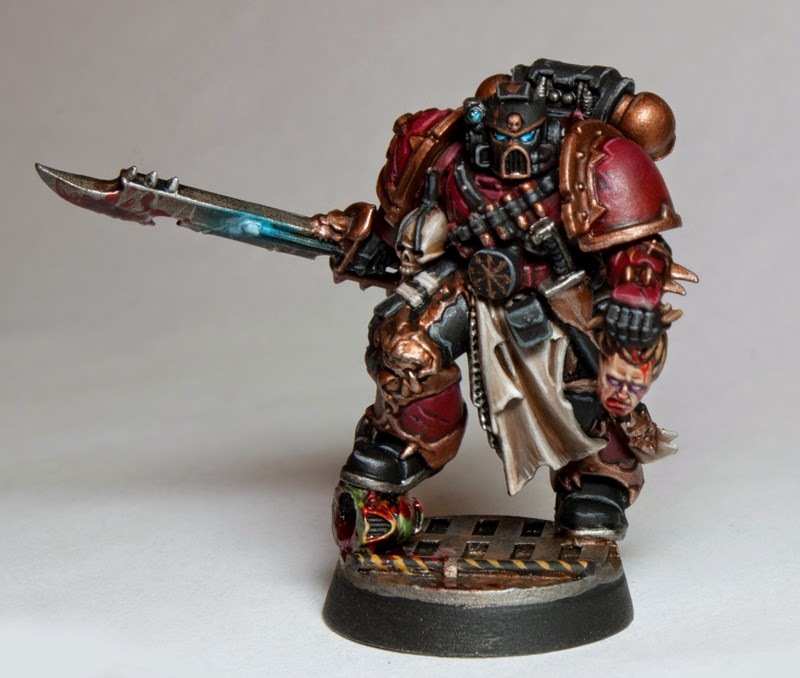 Mengel Miniatures: The First Mengel Miniatures Painting Competition! 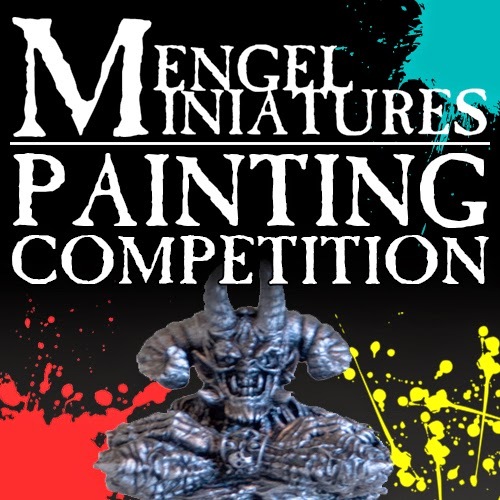 Today is the start of the first ever Mengel Miniatures Painting Competition! So grab your paint brushes, get your models ready, and keep reading for the rules and prizes that await. I have been waiting to announce this for awhile now. I figured, what suits a hobby painting site better then a painting competition? So today kicks off the start of a new one for Mengel Miniatures. I am going to keep it simple for the first go around, that means only two categories; single mini and unit/large model. This can encompass any game system or miniature line. February 2nd will be the closing date for submissions and then they will be judged and the winners announced the following week. - All entries must be something you are either working on now or something you start specifically for the competition. That means you can't enter models that you have finished a year ago. If you want to update or change an older model that would be allowed as well. This is to encourage new hobbying. - All participants must register on the Mengel Miniatures Forum. You must make at least one post on the W.I.P. board announcing your entry. I highly encourage keeping a log of your project on the forum, but beyond that first topic post you are not required to update it further if you do not want to. - Each participant is allowed one entry per category. Any infantry sized model that falls within a standard human size. Examples could be a Space Marine, Terminator, Ogre, Ork (or Orc) or anything roughly that size. You can also enter a mounted model as long as the mount is no larger then a horse or a motorcycle. The base can be no larger then 60mm in diameter. This is to allow some use of diorama elements if wanted. Any group of models or an exceptionally large model such as a monster or vehicle. This also includes any models mounted on monsters. Units can be on a display base if you wish. There is no limit on base size, but please keep it appropriate for the model's size. - There will be a first, second, and third place winner for each category. All three winners for each category will get showcased on this site as well as possible other sites. - One overall winner for the entire competition will be chosen who will receive the sold out End Times Magic Spell Cards as a prize. This is the paper version that is going for as high as $45 on eBay, not the electronic version currently available. - There will also be a People's Choice winner selected. All of the entries will be posted on Twitter and Facebook by myself. The number of Favorites and Likes from each will be compiled and the entry with the most will be the winner. This will be announced at the same time as the rest. 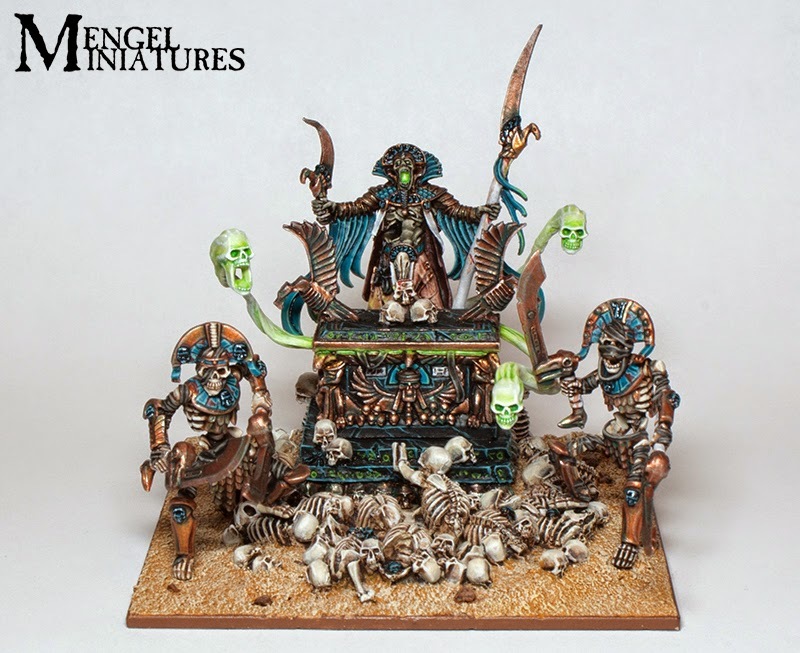 - Final entries can be submitted on the Forum in the Gallery board with the words Painting Competition somewhere in the title or emailed to me directly at TylerM@mengelminiatures.com with the subject line "Painting Competition Entry". - You must be able to prove the model is your own, either by having the W.I.P. thread on the forum showing your progress or with a picture of you holding it when it's submitted. - All final entries must be received by end of day on February 2nd. I think that about wraps it up for the rules right now. So start getting those entries ready. I look forward to seeing what everyone comes up with.